Many manufacturers of infrared saunas, and especially the companies that make high quality units, do their best to make infrared sauna cabins that closely resemble the cabins of traditional steam saunas. In most cases, the process involves constructing the infrared sauna cabins with high-quality wood. Superb lumber such as that from hemlock or red cedar trees is highly sought after by numerous sauna manufacturers for constructing the cabins of both conventional steam saunas and infrared versions. Fortunately, large portions of Canada are densely forested, and one of that country's best known renewable natural resources is its abundant supply of fine quality wood, including large stands of timber such as Canadian Hemlock (also called the Eastern Hemlock) and Canadian Red Cedar (also called the Western Red Cedar). 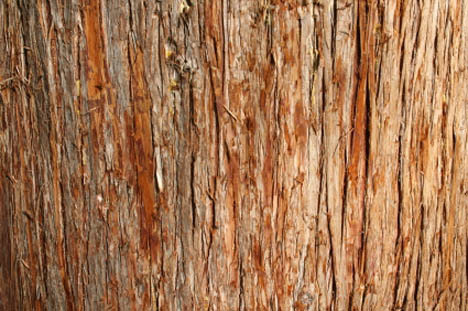 Canadian Red Cedar, for example, is known throughout the world for its exceptional natural beauty. Ranging in color from rich sienna brown to a reddish cinnamon to warm, almost glowing amber, Canadian Red Cedar also offers a finely-grained, uniform texture that boasts a satiny luster. It is an extremely durable wood which does not contain any pitch, resists decay, insect activity and weather, and insulates better than almost any other type of wood. Simply put, Canadian Red Cedar is a highly attractive wood with a number of characteristics which make it a superior construction material for indoor and outdoor infrared saunas. Likewise, Canadian Hemlock is a finely-textured wood that has an attractive natural color, in this case ranging from an off-white to a light reddish-brown. It, too, is free of pitch and resins. Canadian Hemlock is easily sanded to a warm, beautiful finish and its neutral-colored surface accepts stain exceptionally well if there's a need to match other woods. While hemlock and cedar are the two classic choices for use in infrared saunas, Canada furnishes some of the best in the world. This is why buying an infrared sauna from the Canadian market so often results in the purchase of a sauna that uses exceptionally high quality wood. By their very nature, infrared saunas generate heat whenever they're in use. This characteristic, so desirable in a sauna, does, however, make it extremely important to select and use the proper wood during the sauna manufacturing process. The wood must also be properly cured to resist the effects of the sauna cabin's heat. For example, any high quality infrared sauna cabin will be constructed of wood panels that have previously been air dried for three weeks or so. This curing process prevents the wood panels from shrinking or warping over time due to their exposure to the sauna's internal temperatures. In addition to being unsightly and detracting from the appearance of the sauna, warps or shrinkage of the wood can cause poorly-fitting panels. It's even possible that if the wood shrinks or warps, the panels could develop gaps which would let the sauna's heat escape. After air-drying for three weeks, but before being made into panels, the wood used to construct saunas should be dried in a kiln. In fact, the most important pre-production step in making infrared saunas is the kiln drying, because it permits the wood to arrive at the optimal moisture content. Many sauna manufacturers only air dry the lumber, and as a result, it retains a moisture content of approximately 20 percent. A moisture level this high can cause several problems. Not only is a moisture level near 20 percent too high to allow optimal stability of the wood, but it can also result in a shorter life span because it encourages the formation of mold and rot. Kiln drying avoids these issues because the kiln's heat dries the wood to a moisture content of only 6 to 8 percent. Because so much high quality wood originates in Canada, infrared saunas from that country are frequently excellent units. Although companies from throughout the world manufacture infrared saunas, Canada is one of the industry leaders. You do still need to be careful, though, because some companies nonetheless build poor-quality saunas that in some cases might be marketed with claims that are not scientifically supported. To the top of "infrared saunas Canada"